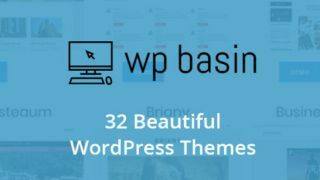 Save 98% on this bundle of WordPress assets and lessons. When it comes to building for the web, there is no tool more powerful than WordPress. The incredibly malleable platform is the go-to option for web developers of all skill levels. You can learn how to make the most of the platform with the 2018 Ultimate Website Design Bundle. It's on sale now for 98% off the retail price. The 2018 Ultimate Website Design Bundle provides you with two of the most valuable things a web designer could have: the assets to build an incredible site on WordPress and lessons on how to use them. This ultimate web dev collection is the perfect resource for anyone looking to get their start in a growing industry. Work your way through courses on how to improve, optimise, and perfect your site, then put those skills to use with the massive collection of plugins, stock images and themes. The 2018 Ultimate Website Design Bundle is valued at over $2,655, but you can get it on sale now for 98% off the retail price. That's a massive amount of savings for an essential collection of courses and assets, so grab this deal today.